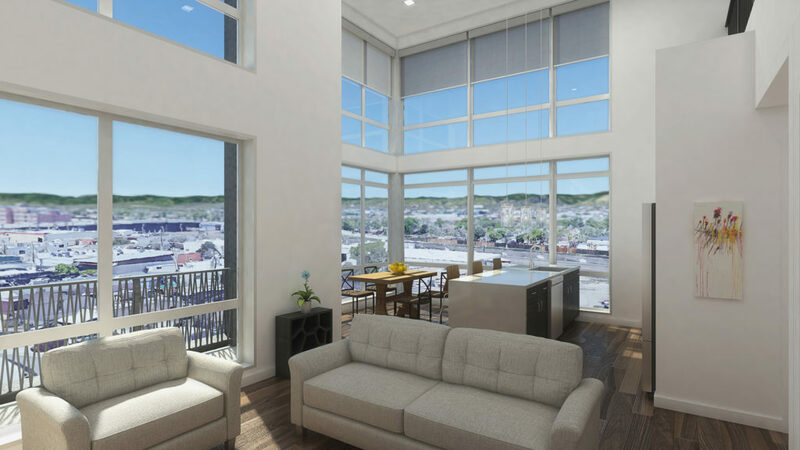 South Broadway’s hottest new condo development SOBO 58 opens its doors...And you're invited! Wondering what the next big thing in Denver is? THIS. IS. IT. 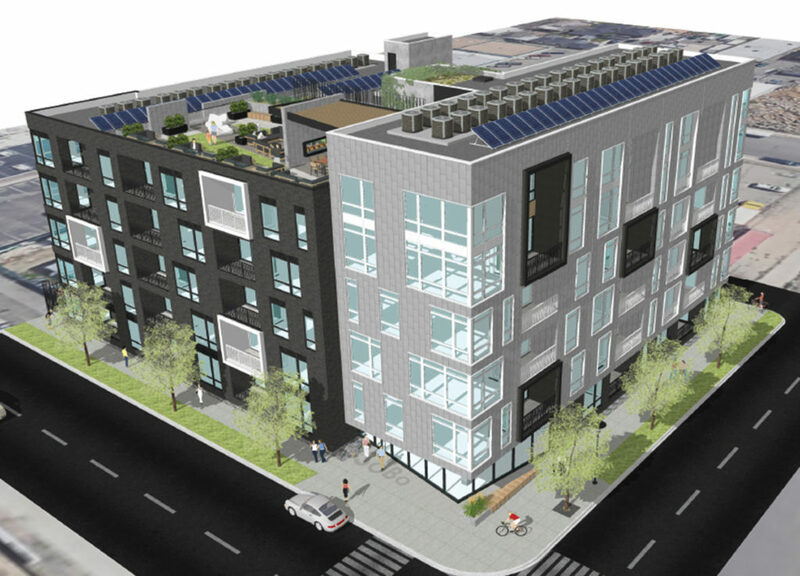 SOBO 58, the newest condominium development in Denver’s South Broadway neighborhood, opens for business February 7th with 58 units available for purchase, ranging from $320K to $620K. YES it is minutes from Sushi Den, Corvus Coffee, & Herman's Hideaway! YES it's mere blocks from LIGHT RAIL. And YES, you have to see it. Where else can you get all this for the price??? ​I had the pleasure of getting a first look at the development by assisting with their website and promotional copy - and let me tell you, this building will offer you a lot more bang for your buck, and a location that can't be beat! 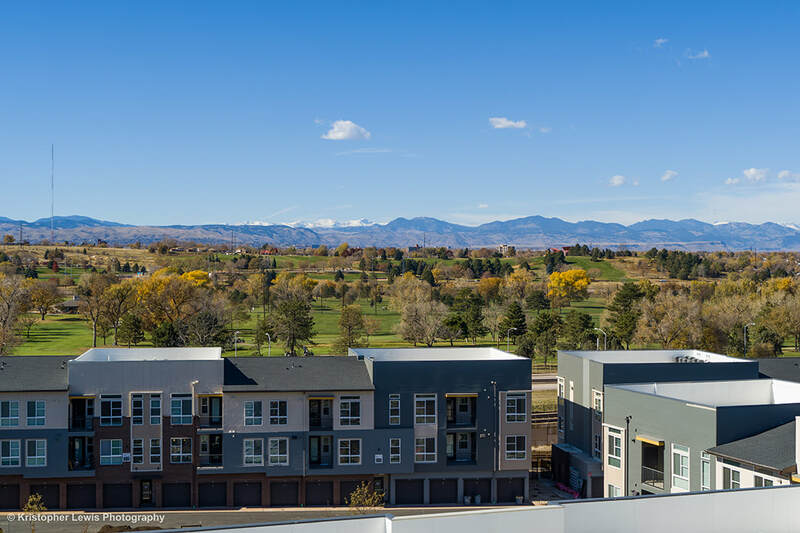 “SOBO 58 is unlike any other mid-rise in Denver with an incredible location nestled in the heart of South Broadway, just one mile from Platt Park! Buyers have a level of customization that is rarely offered at this price point. Top that off with easy access to local favorites like Sushi Den, Corvus Coffee, Park Burger, Morning Collective and Herman’s Hideaway; this is where everyone wants to be.” says co-listing agent Debra Guy of RE/MAX Cherry Creek. Mid-rise units include studios, 1 bedrooms, 1 bedrooms + den, and 2 bedroom units, many with mountain views. Five select units afford two-story floor-to-ceiling windows, and an open-air mezzanine that maximizes indoor-outdoor living and entertaining. 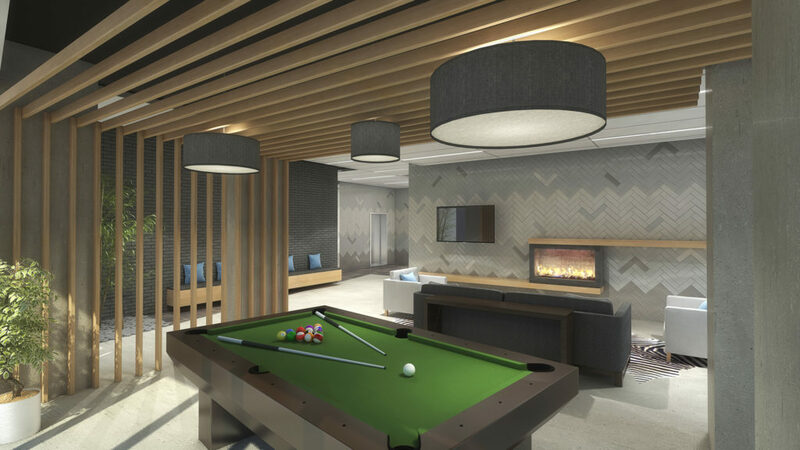 “All units come with generous floor plans ranging from 645 to 1,370 square feet, and boast 9-foot ceilings, an upgraded stainless steel appliance package, and your choice of three professional interior design schemes,” says Debra. ​Additional highlights include a professionally designed lobby with seating area, fireplace, and pool table; lushly landscaped private courtyard maintained year-round; a rooftop terrace with majestic views of the Rockies; close proximity to light rail with D & C lines accessed just three short blocks from Evans Station, and E, F & R lines accessed at Louisiana Station; secured covered parking; plus EV charging stations available. Moving After The Holiday Season? Here Are The Pros and Cons. This week's guest post comes from Roadway Moving, a premier New York City moving company. Based in New York, they are held to a very high standard. Their customers demand the best and they deliver. Read on for expert moving tips and to find out why Roadway is rated the #1 mover in New York City. These days, the holiday season can be a perfect time to move to a new house, but it doesn’t automatically make it the right time for you to relocate. That said, you might consider the idea of moving after the holiday season instead. Whether you’re planning a local or interstate relocation, here are the pros and cons of moving after the holidays. 1. No holiday stress – Even if the holiday season is known for being the wonderful time of the year, it can still be challenging to move during this time. Unlike after the holidays where people are resting from holiday blues, you can go through with your moving tasks step by step with ease and convenience. At this point, you can move comfortably and without stress because the streets are no longer busy since people have come back from their extended vacation. 2. No complaints from your kids - Most children love vacations, which means they won't be happy if you schedule your relocation during the holiday season. Hence, it’s a good idea to start moving after the holidays, so they’ll have enough breaks and enjoyable activities for the week. If you do this, you’ll also stop hearing them complaining and bickering, thereby making your holidays a relaxing one for you and your family. 3. Moving prices might be lower – The good news about moving after the holiday season is that the moving prices might be lower. Unlike during the holidays where you’ll find yourself paying companies more, it’s wise to set your moving date after the breaks instead. That way, you don’t need to spend hundreds or thousands of dollars right away, thereby helping you to save more money in the long run. 4. It’s not busy – There are always celebrations and fun parties during the holiday season. That’s why you don’t actually have sufficient time to pack and relocate smoothly. However, moving after the holidays provides the opposite. That’s because people are no longer busy attending parties and going everywhere, which is why you’ll have so much time for planning, preparing, and organizing everything for the big day. 5. Movers can accommodate you right away – Holiday season is a peak season for moving. Thus, it’ll save you stress and headache if you decide to move after the holidays. During this time, perfect movers for your family can accommodate your move right away. Even if you plan a last-minute move after the holiday season, moving companies might be readily available to handle every aspect of the moving process. 1. You might need to extend your break – Moving after the holidays means you might have to use the official days for the relocation. Typically, you need to go back to work after a few numbers of vacation days, which is why relocating at this time might push you to take an off from your job or extend your break instead. This can be an extra hassle for you knowing that you have to juggle your time for both your work and your upcoming move. 2. Not a popular time to move – Due to the demand of relocating during the holidays, planning a move after that season might not be a good option. That’s because you might encounter some moving companies that are unavailable to take care of your relocation. Due to their busy schedules during the holidays, some might decide to take some off, which means you’ll probably not be able to book a moving date immediately. 3. You do all the tasks on your own – Unlike moving during the holidays, a relocation after that season means no more people are on vacation to help you with the process. As a result, you’ll end up accomplishing all the tasks on your own which isn’t fun at all. Not only that but after the parties and relaxing time with family and friends, you might not have the drive to prepare a move after the holidays. As long you’ve done all the preparations from start to finish, you’ll not experience any stressful issues along the way. Even if troubles are unavoidable, don’t forget to ask for some help from Movers NYC if you’re moving within the New York City after the holiday season. Hopefully, we’re able to help you weigh the pros and cons of moving after the holidays, so you can make a decision easier. We hope you enjoyed this guest post! Our Article Ranks 5th Among Inman's Most-Read Stories Of 2018! ​What a year!!! 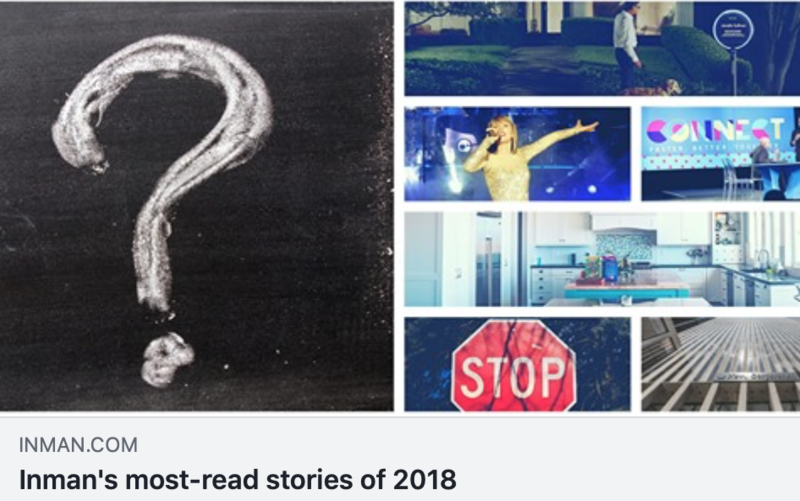 I could not be more shocked and humbled to have my article "10 hidden Facebook features all real estate agents should know" rank 5th on Inman's most-read stories of 2018 list. It has been so rewarding to write for Inman News, and I encourage all of my real estate clients to do the same if they can. It is a great way to collaborate with your peers, while also positioning yourself as a real estate expert. If you are a real estate agent, you probably have marketing on the brain for the upcoming year. It seems everyone is gearing up for the 2019 selling season. What better way to kick off the New Year than with fresh copy that inspires. At Amy Puchaty Communications we do just that. We help agents, brokerages, and brands hone in on a communication style that is uniquely theirs. ​From ghost writing blog posts and client letters, to drafting corporate messages and professional agent biographies, to website copy, event promotions, brochures and property descriptions, we run the gamut of copywriting services so you don't have to. Give us a call for your next project. We would be happy to assist with any and all of your copywriting needs. ​Are you filled with the spirit of the holiday season? We sure are! Nothing is more rewarding than looking back on a year well spent. 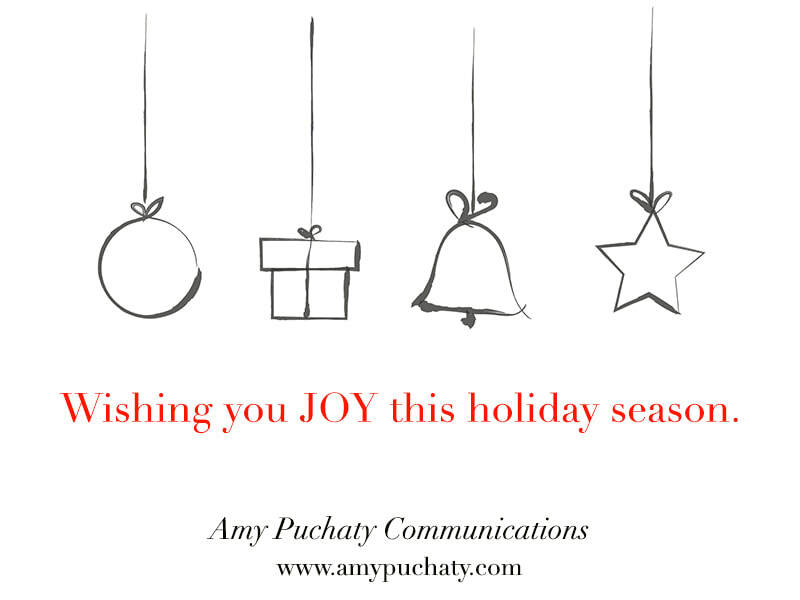 And over here at Amy Puchaty Communications, we are definitely thankful for 2018. 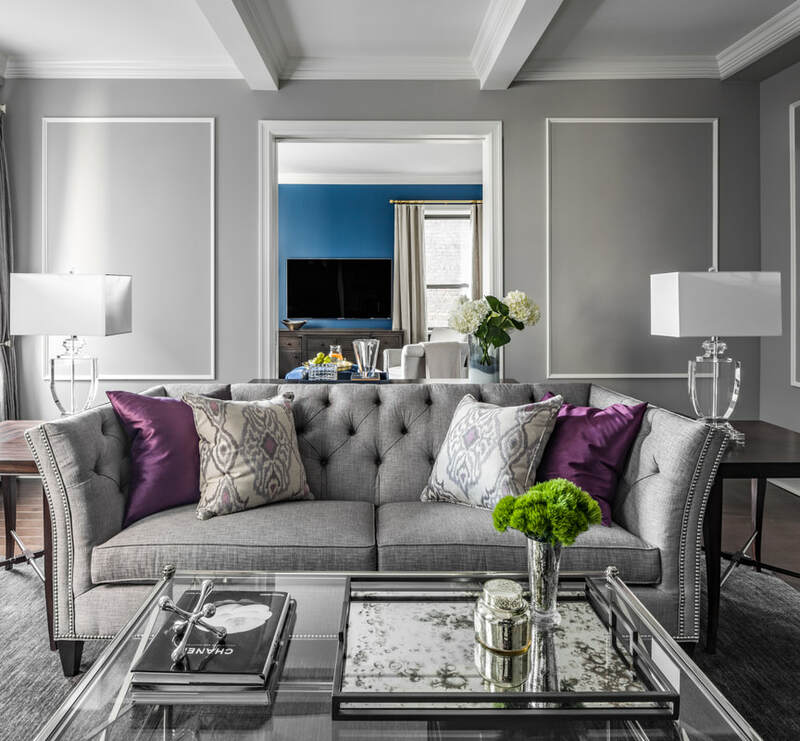 It was a record year filled with exciting new projects, unbelievable clients, and virtual peeks inside some of the most incredible homes and lifestyles across the country. We want to send a special thanks to all our of our clients and friends who continue to honor us with their business. Here's wishing you a joyful and prosperous 2019! Jule Pond, New York, $175 Million, currently the second most expensive home in the nation. If you’re lucky, you might get a pair of Airpods or some new Yeezys this Christmas. But as the holidays come around, we find ourselves dreaming BIGGER. Here’s a roundup of the five most expensive homes in the U.S. you can ask Santa for this holiday season. Who knows, maybe dreams really do come true! This 105,000-square-foot mega-mansion atop Bel Air is, by a wide margin, the most expensive home for sale nationwide. Totaling 100,000 square feet with a prime location in Los Angeles’ Bel-Air neighborhood, this unbelievable showplace was designed by luxury real estate developer Nile Niami, who set out to build the most extravagant home in the U.S.
Jule Pond is a lavish European-style estate built by Henry Ford II in Southampton. It is currently listed as the second most expensive home in the nation with a price tag of $175 million. 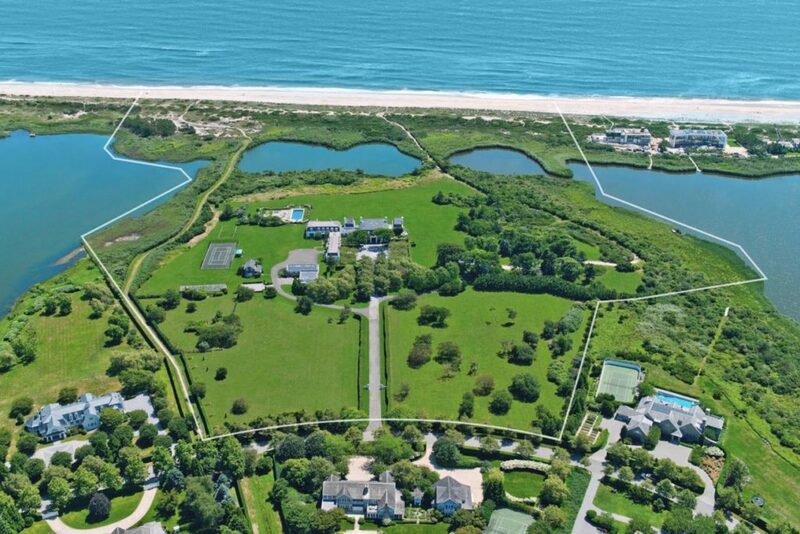 This 42-plus-acre oceanfront estate offers the largest ocean frontage in the Hamptons, spanning nearly a quarter mile. With more than 500 feet of private beachfront, Playa Vista Isle enjoys both ocean and intracoastal waters. 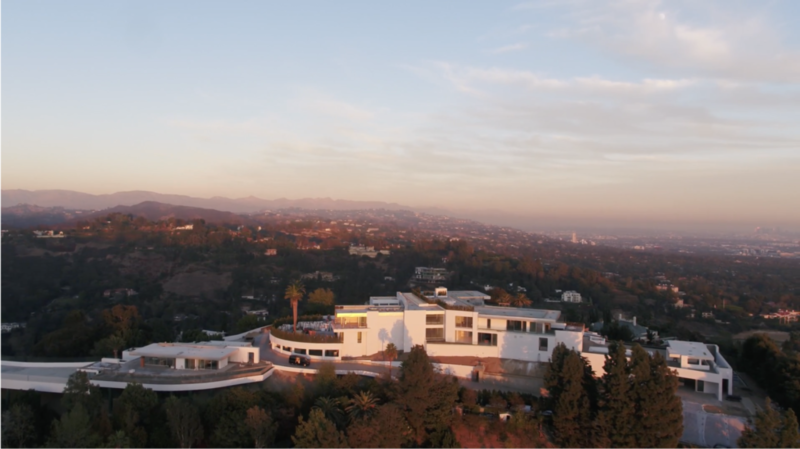 The property, which consists of a $139 million 2.88-acre-lot and the neighboring $20 million 1.51-acre lot, was taken off the market but is now pending. It clocks in as the third most expensive home in the country. At almost 7,000 acres, West Creek Ranch is home to an abundance of wildlife, perfectly secluded for year-round enjoyment. 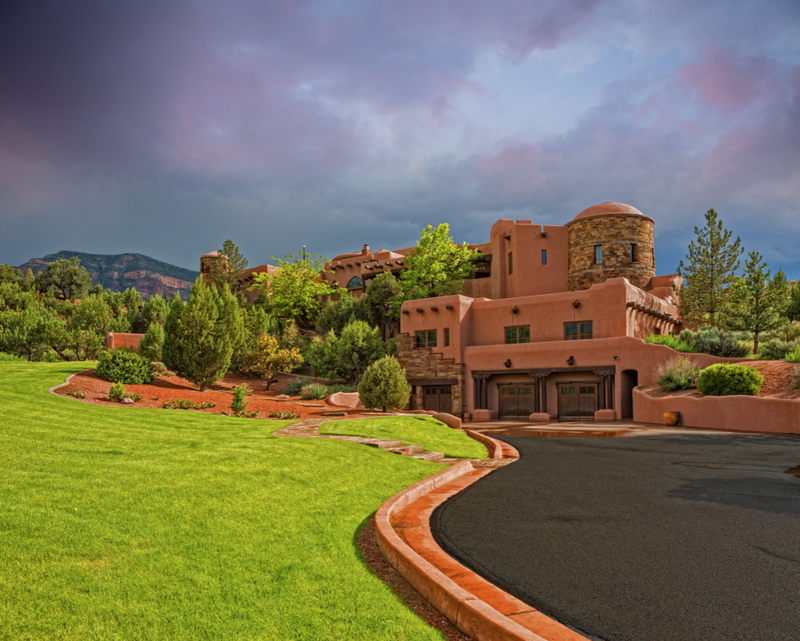 Meticulously designed by the founder of The Discovery Channel, the main residence offers 22,000 square feet of living space, and includes a two-story stone library, in-home theater, fitness center, chef’s kitchen, oversized study, game lounge, pool and spa. On the market for the first time in more than 100 years, this 63-acre island retreat is the ultimate equestrian estate. 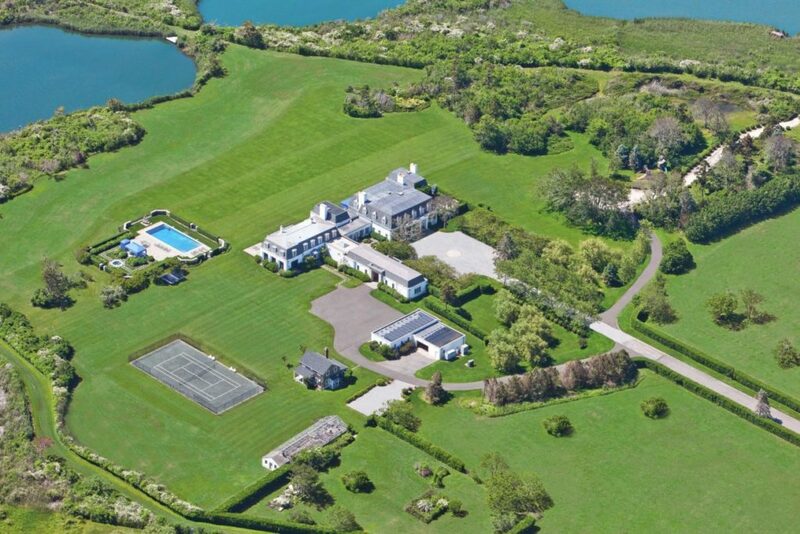 It boasts over one mile of coastline directly on Long Island Sound, and affords a generous 13,107 square feet main house. ​Like what you see? Catch up with more luxury real estate coverage here. This post was written by Amy Puchaty for SecondShelters.com, the center of the second, vacation, and investment home real estate universe. Follow along on SecondShelters.com for the latest in hot properties around the U.S. and beyond. 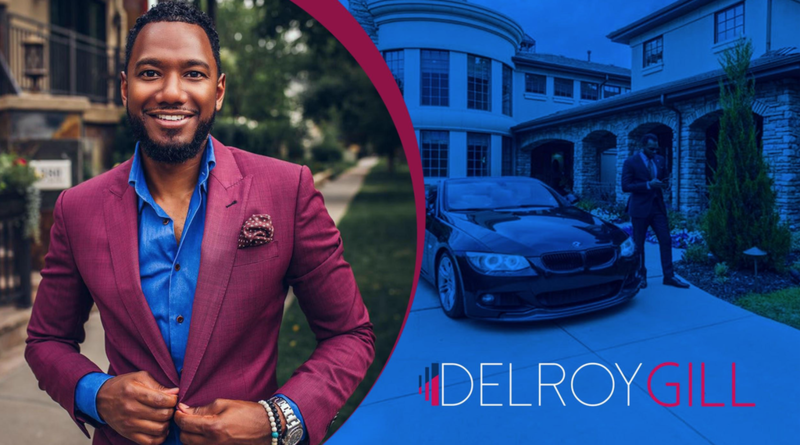 This week we are pleased to feature top producing Denver real estate agent, Delroy Gill of LIV Sotheby's International Realty, who schools us on attraction marketing for Instagram. 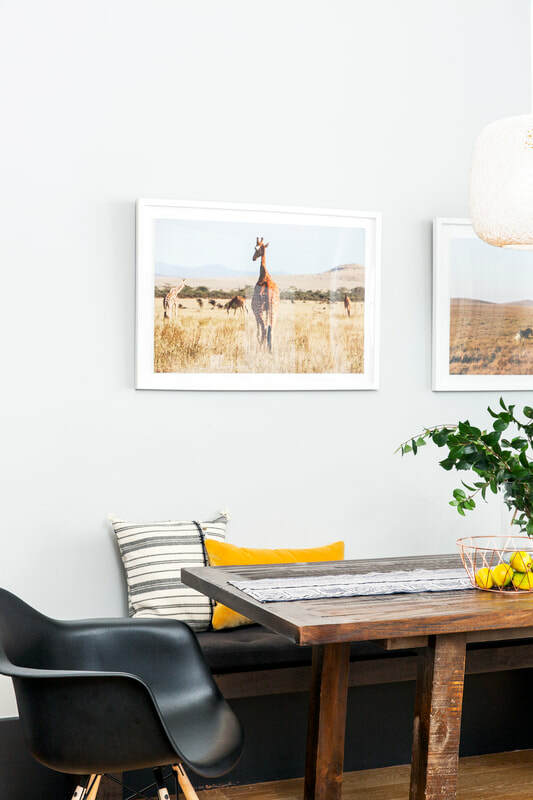 For those looking to up their real estate Insta game, there is no better resource! We are in a world that requires businesses to engage directly with our consumer. Personal websites are no longer an informational resource, they are online branding pages where people get to know your brand. By googling you and looking at your social media presence, these consumers will “get to know you” before ever speaking to you. This is why it is so critical to be conscious of what you are posting! Make sure it aligns with your brand EVERY time! Especially on Instagram. Be sure your social media profiles have a name where people can easily find you. It is okay to use a nickname, as long as people know you by that name. I use my first and last name “@DelroyGill” for as many of my social platforms as I can, because that is what people know me as. The easier you make it for people to recognize you on Social media, the faster they will find you! KEEP: Simple, short, straight to the point names. LOSE: “YourName1998” – Remove basic random generated numbers or alternatives to your actual name that don’t make sense or complicate things. Immediately switch your account to an Instagram business page so you have all of the tools you need, and create a bio! This can be a short description of “what you do” or a few bullet points like I do on my page on @DelroyGill. Your pictures and videos have to be good quality! Yes, cell phone photos are acceptable but lighting is EVERYTHING. It's always a better option if you can work with a professional! Be sure the content you are pushing out to the public is at the standard of the services you provide. Think of your IG page as an online magazine. Are you more Walmart or Whole Foods? Branding is key! Your photo quality has a heavy reflection on your brand. When posting photos, EVERY picture/video should have at least 30 hashtags. This is made very easy with websites like www.displaypurposes.com– a site that will generate all 30 hashtags for you when you put in the basics of your picture. Example: I upload a picture that features a home and me in a suit.I will then put the hashtags into the generator “#Home #Suit #Realestate” the system will then generate 30 tags for me to use. You then copy and paste this into the comments section of your post, NOT the caption. Keep your caption clean and direct. Have value to offer to your follower base. Ask yourself, is my captionentertaining, educational, inspirational etc? Every picture should have a location tag. People can follow locations and hashtags on Instagram, not just actual people, so having more ways for people to find your content is key. Instagram is a place that works with engagement. Your post will rank higher with comments and replies. It recognizes if people are more interested in your photos based on the likes and comments. Therefore,the more engagement you have in a picture, the more it shows up in other user’s feeds. The old algorithm of time stamps are no longer. There you have it, straight from one of Denver real estate's most Insta-famous agents. Incorporate these simple practices into your social media marketing and you'll be navigating the world of Instagram in no time. To learn more about Delroy Gill visit www.DelroyGill.com. 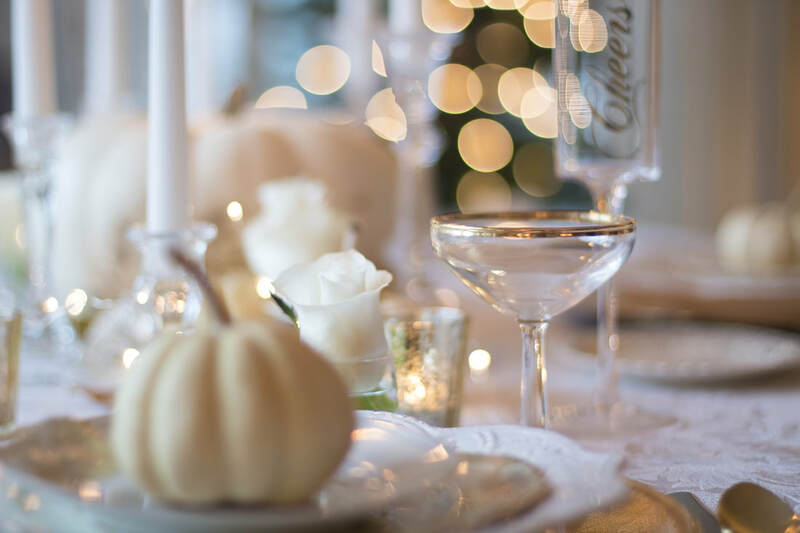 ​There is nothing more exciting (or nerve racking) than gathering around the table with family and friends for a beautiful Thanksgiving feast. And what better way to make Turkey Day memorable than with tried-and-true tips from the Barefoot Contessa herself, Ina Garten? Nobody knows how to make elegant entertaining effortless and care-free like Ina! When I need to unwind, I watch episodes of Barefoot Contessa on repeat. There is something so calm and relaxed about her cooking style. It makes me feel like I can whip up a culinary masterpiece with minimal effort too. I have been using many of her techniques in my new kitchen and can assure you, if I can do it, so can you. In fact, for an easy Thanksgiving appetizer this year, I'm making her Thyme-Roasted Marcona Almonds paired with a cheese plate and a bottle of Veuve Clicquot. What is a Thanksgiving celebration without a little bubbly am I right? Personally, I have a lot to be thankful for this year. Just a couple days ago I was telling my sister I was "thankful" for her husband helping us move our mattress to the second floor of our new house. My little niece shouted out "Thankful! That is a word on my list!" She was referring to her word list in kindergarten. It's pretty cute that she is already recognizing words in conversation. Not sure I paid that much attention to my word list at that age, but hey, we might have a future wordsmith on our hands! Aside from moving into my very first home, I am so thankful for having family close by. I love watching my niece and nephew grow up and relying on my sister for that extra boost when times are tough. It's also been a blessing to have her on board as an associate copywriter as our business expands. I cannot believe how much Amy Puchaty Communications has grown! We've had our biggest year yet, and are working with a bunch of new clients in luxury real estate, construction, technology, and more. Which is precisely why this year, I am going into the holiday season with gratitude. And of course, a few of Ina's fabulous recipes up my sleeve. If you are lucky enough to get tickets, you can catch Ina Garten in Denver at the Paramount Theatre, Tuesday, December 4th at 7:30pm. Here's wishing you and yours a Happy Thanksgiving! 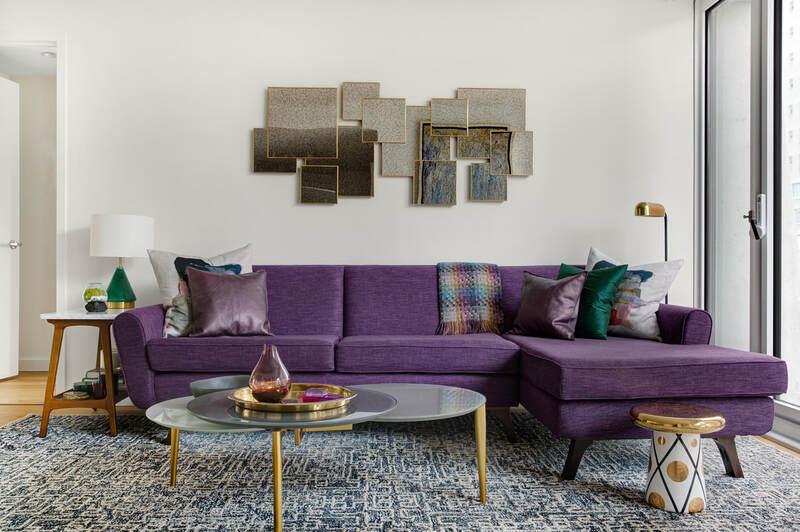 When preparing your single-family home for sale, the goal is to make an excellent first impression that lasts when prospective buyers take a closer look. Every aspect of the house should look its best. Much of the first impression comes from curb appeal, the well-groomed, attractive look seen from the curb. Curb appeal projects consistently bring excellent return on investment for sellers. Although without the obvious beauty of a rosebush in bloom, the garage door is usually a substantial portion of your house’s façade. Thus its look does contribute to the exterior style. And although it is functional rather than decorative, it is something people see every day. Getting ready to sell can be the perfect time to replace an old garage door with something that works better and has more style. There are door choices to fit every major American home style, from colonial to Mediterranean, in a range of materials from steel to glass to wood. As you depersonalize the house and paint the walls neutral colors, you can also select a popular garage door style that meets buyer expectations. One example is the carriage door, which is made to resemble the old-fashioned doors of carriage houses. Excellent for older homes and traditional styles, they can also add charm to a contemporary house. Because they evoke the past, they can easily look rustic or highly elegant, or anywhere in between. Despite their look, they do operate like modern doors. 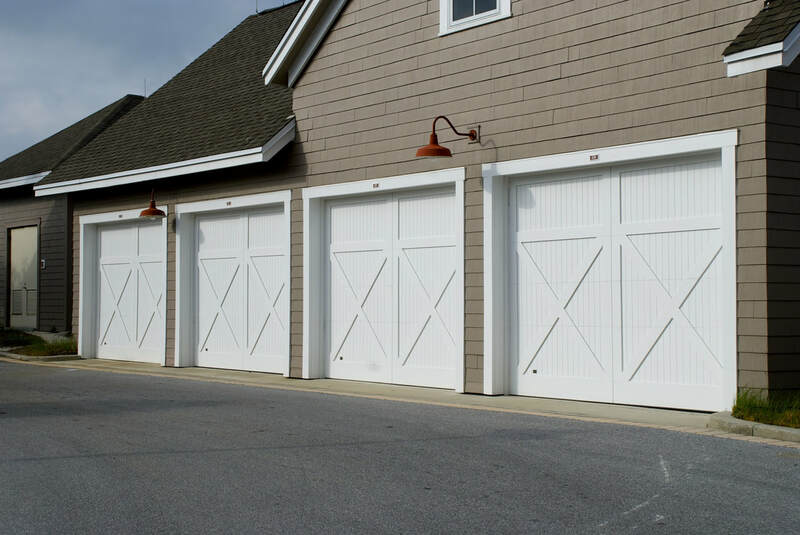 Some people prefer to opt for the more standard “raised panel” door with the rows of panels a lot of us picture when we think of garage doors This typical style is restrained enough to fit with many exterior looks. It may not have a major “wow” factor, but it also won’t distract from other features you would rather emphasize. Modern style with clean lines is trending today. This look can be enhanced by the right garage door. 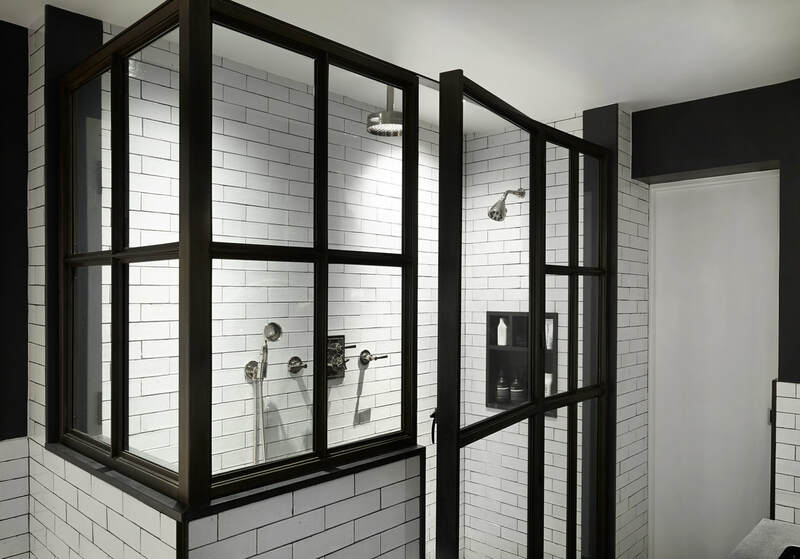 Steel, frosted glass, or even wood can express this sleek style. 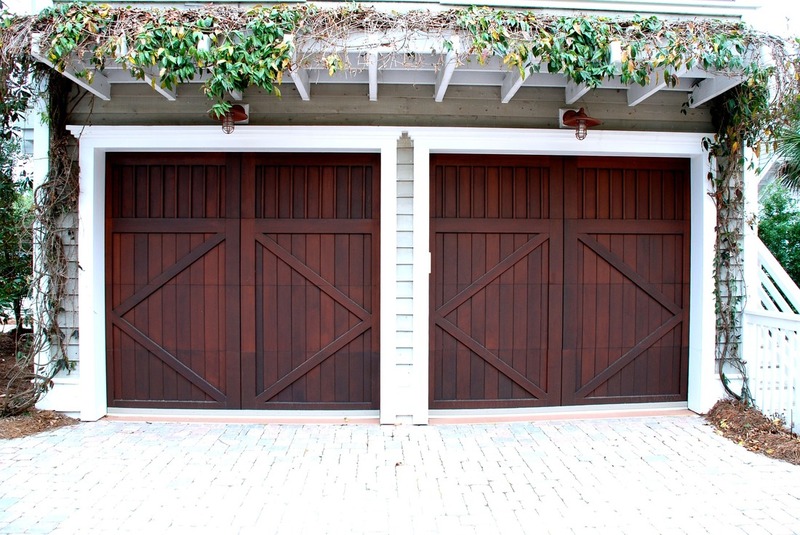 Some garage doors are also “single slab,” meaning they raise as one unit instead of as hinged sections, and this old stand-by choice works with modern looks. If you are undecided, consult the professionals who can guide you through your garage door choices to your best curb appeal. 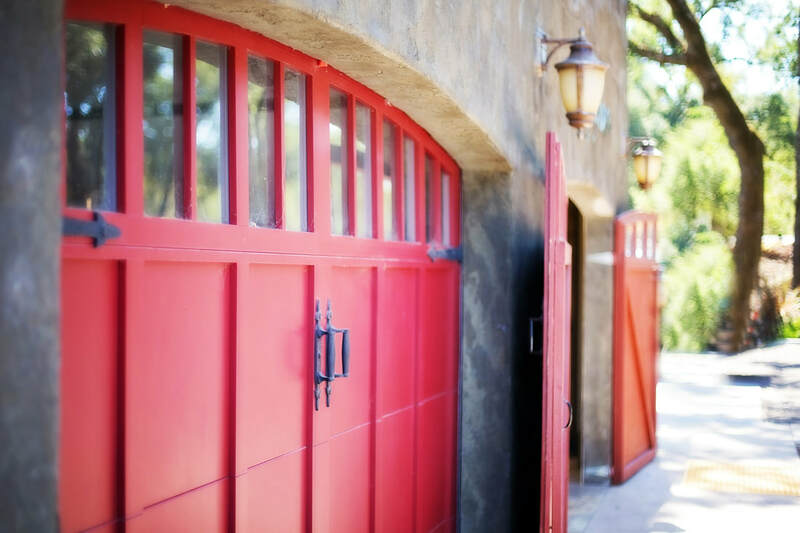 We hope you enjoyed these garage door tips from HomeLight! HomeLight uses actual sales data and client reviews to find the best real estate agent for you. They are a small team of talented people in San Francisco, Phoenix, and Seattle, excited to change the face of real estate. 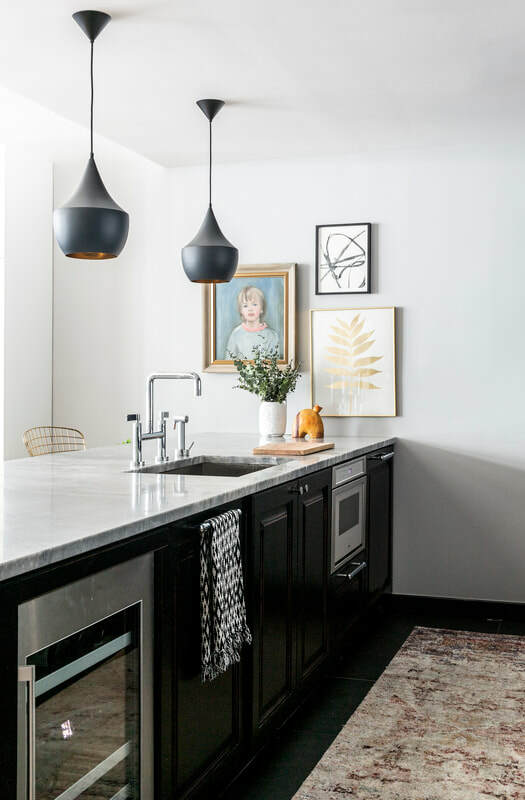 Their writers’ work has been featured in numerous award-winning publications, including MarketWatch, ABC7 News, Mercury News, CountryLiving, and HouseBeautiful. Learn more at www.homelight.com. ​Did you catch our latest Splurge vs. Steal on SecondShelters.com? It features one of the oldest residences in Salem, Massachusetts, and offers a once in a lifetime opportunity to own a piece of history. Check out the excerpt below or read the full post here just in time for Halloween. Who is ready for the popped corn, the bat brownies, the fabulous return of Hocus Pocus on repeat? Well, then it shouldn’t take long to figure out why we selected Salem, Massachusetts for our latest Splurge vs. Steal. Need a Hocus Pocus refresh? Here goes, courtesy of Wikipedia: After moving to Salem, Mass., teenager Max Dennison (Omri Katz) explores an abandoned house with his sister Dani (Thora Birch) and their new friend, Allison (Vinessa Shaw). After dismissing a story Allison tells as superstitious, Max accidentally frees a coven of evil witches (Bette Midler, Sarah Jessica Parker, Kathy Najimy) who used to live in the house. Now, with the help of a magical cat, the kids must steal the witches’ book of spells to stop them from becoming immortal. Thus, comedy, sibling rivalry, and teenage love ensues. We love a cult classic this time of year! And speaking of classic, the historic town of Salem affords more than witch trials and its annual Halloween Ball. Salem is a seaside city nestled on the northern coast of Massachusetts. It’s famous for its 1692 witch trials, but has come a long way since. There’s oodles of authentic New England charm, gorgeous lighthouses, eerie museums, historic homes, and more! In fact, today we feature two historic beauties in our latest Splurge vs. Steal that truly capture the spirit of the fall. Take a look! According to the description, it was built in 1667 for shipwright Stephen Daniels, and is aptly known as the Daniels House. It features multiple fireplaces, wide plank pine wood floors, exposed beams, and the list goes on. If only walls could talk! Property records indicate the oldest parts of the building are the lower two stories of the southern half of the structure. The northern half, situated on the third floor, plus the sizable lean-to were added by Samuel Silsbee in 1756. Silsbee was Daniel’s great-grandson and a carpenter by trade. See what people who actually stayed at the Daniels House are saying on SecondShelters.com and discover which historic Salem home we chose we for our Steal here.